Prototype collectors may or may not be familiar with the story of what collectors have dubbed "Blue Harvest" hardcopies. For those unfamiliar with these pieces, a brief explanation of their creation is presented. At some point during the early 90's, authentic vintage action figure and Micro Collection silicone molds were used to create hardcopies, specfically designed to sell to collectors. The molds still remained inside Kenner, so the "Blue Harvest" incident took place in-house. Unfortunately for the deceptive individuals who crafted these reproductions, they failed to consider the fact that blue urethane was not being utilized during the vintage Star Wars run. Astute collectors, able to research and assemble historic information regarding the hardcopy materials used at the time, were able to identify the "Blue Harvest" items as nothing other than reproductions. It is important to reinforce the fact that the molds themselves were authentic, however the products were infact fake. As the years have gone by, collectors have developed some interest in these "Blue Harvest" pieces, since they represent an unusual scenario that took place within the hobby. It's also imperative to understand the value of a "Blue Harvest" item is vastly lower than that of a comparable authentic hardcopy. 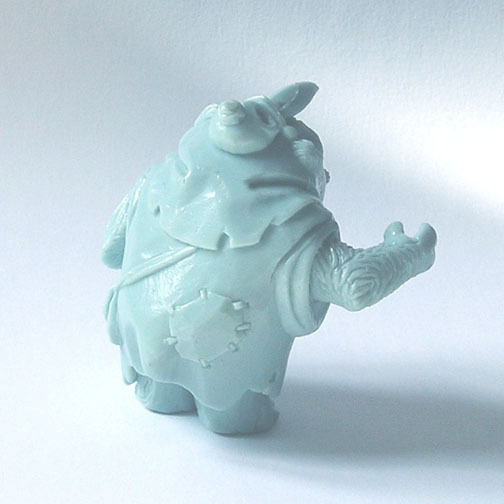 The "Blue Harvest" piece seen in this entry was cast using the original silicone mold for a conceptual rendition of the Ewoks Logray action figure. An authentic one-piece conceptual painted hardcopy may been viewed here. The various differences between the conceptual and final versions of the figure are discussed in detail in the above referenced entry. Since the original sculpting of the entire conceptual figure was crafted as a single piece, a single mold was made to generate the hardcopies. 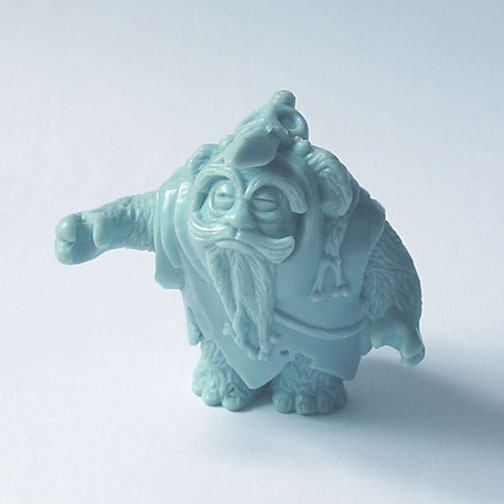 This characteristic is not unusual for an early rendition of a figure, but all finalized versions of a figure used seperate molds for the limbs, head, and torso, like the Chief Chirpa mold shown here.